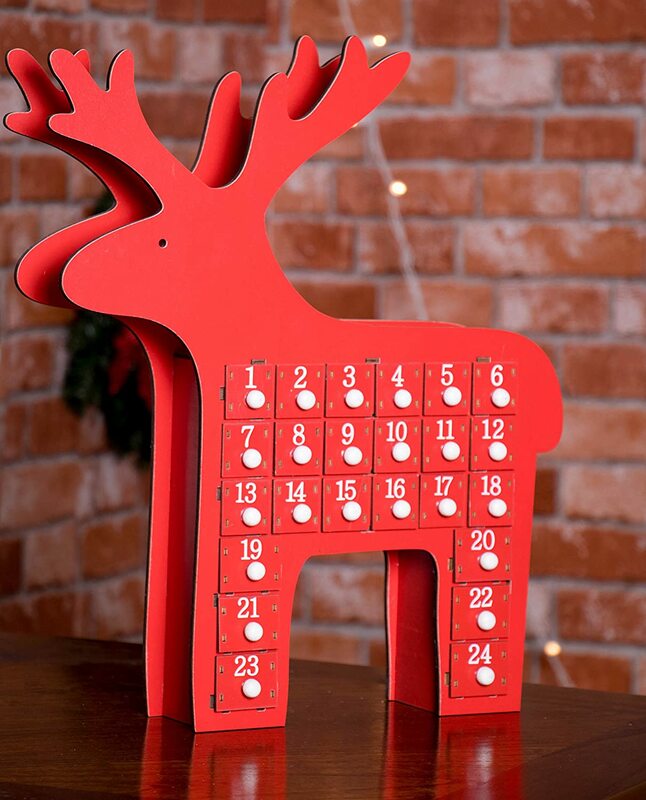 Choosing advent calendars for adults is not always that easy because many designs are not aimed at this market. I've had to look very hard to discover some wonderful suggestions. 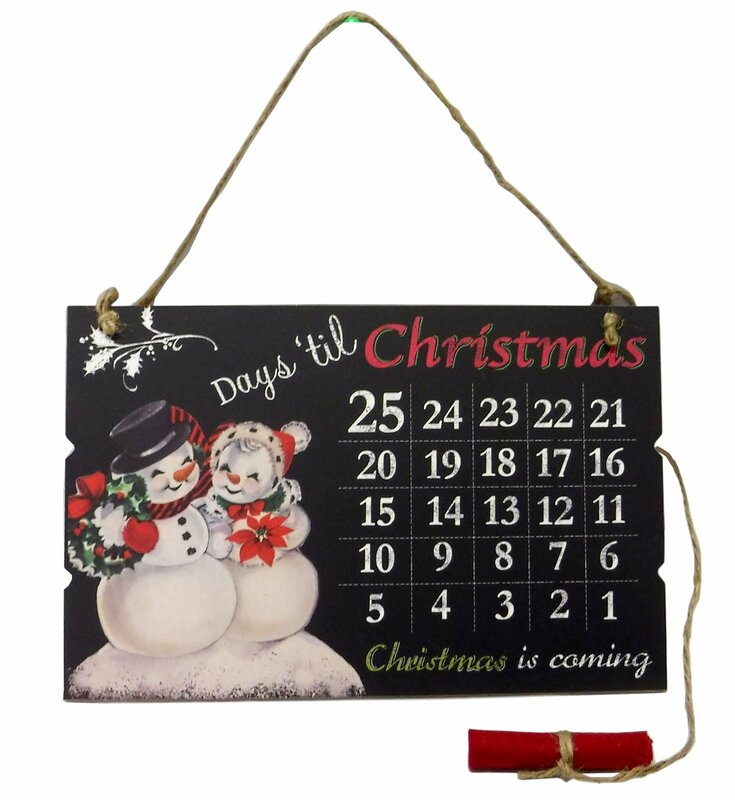 Many adults really love and look forward to counting down the days until Christmas. There is a real and genuine anticipation of this special festive Holiday season and event. 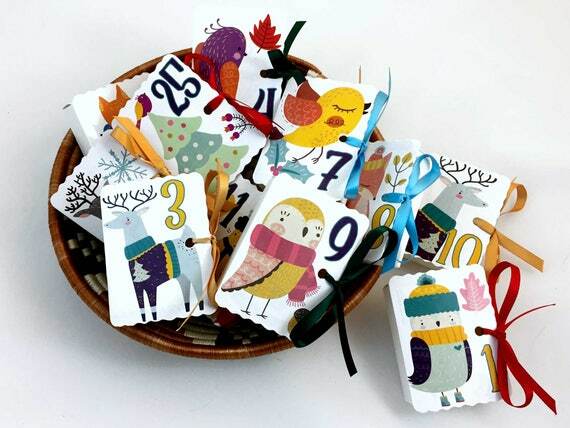 There's the inexpensive cardboard calendar varieties to sturdy ones which you can enjoy year after year as keepsake decorations. Of course these items make great gift ideas too for anyone who delights in the festivity and fun of looking forward to this, the best time of any year. Make counting down the days something to look forward to and come look at the different ways of counting off those 24 days in December. This is a wonderful tradition that people of all ages can take enjoyment in. 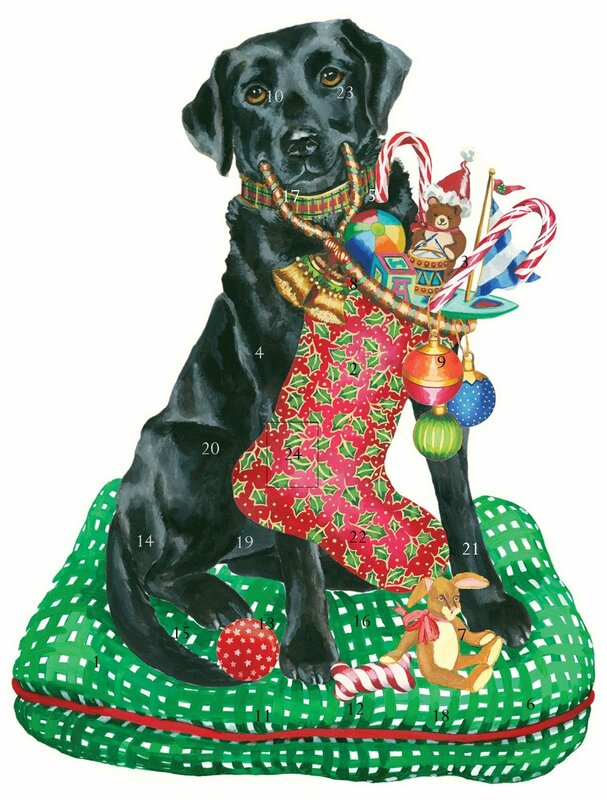 As a pet owner myself, this is my top choice and the best animal themed advent calendar I have come across. This is such a gorgeously rich looking design in detail and also in color. Pet loving adults should really enjoy this one. There are 24 windows to open with full color illustrations behind. This one includes some glitter decoration and comes with an envelope for mailing it out. This should be a pretty fun way for animal fans to enjoy counting down to the festive season. There is also a cat version by Caspari which allows you to look for all the cats among the buildings and there is the addition of a little mouse in there. You have to see how this looks when it is pulled out in a free-standing 3D format because that looks really fantastic. It's the cat's meow! 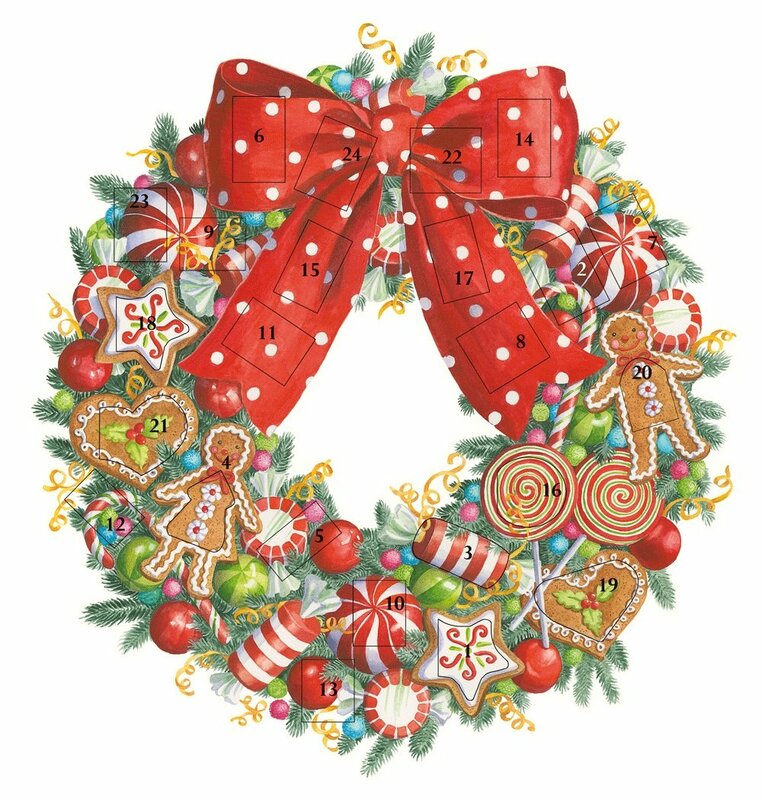 I was attracted to a more unusual style of advent calendar (not shown) which has been die cut into a wreath shape. You can hang it up just like a normal Holiday wreath too. This charming looking design features a lot of sweet and colorful illustrations to enjoy viewing. It features a picture behind each window as you open them. Victorian Angels and glitter are other motifs that make for a sparkling vintage delight that is also sure to thrill someone who enjoys this particular style of artwork. Fans of the American painter and artist, Norman Rockwell, will look forward to his particular design which features a large 1950s style winter scene for the main image complete with those cool vintage cars and then miniature illustrations of his behind each window. This is certainly a calendar that will appeal much more to grown ups and especially those of a certain generation. With the vintage cars it's a great choice to gift to a man too. You should be able to find this calendar in his official museum store. 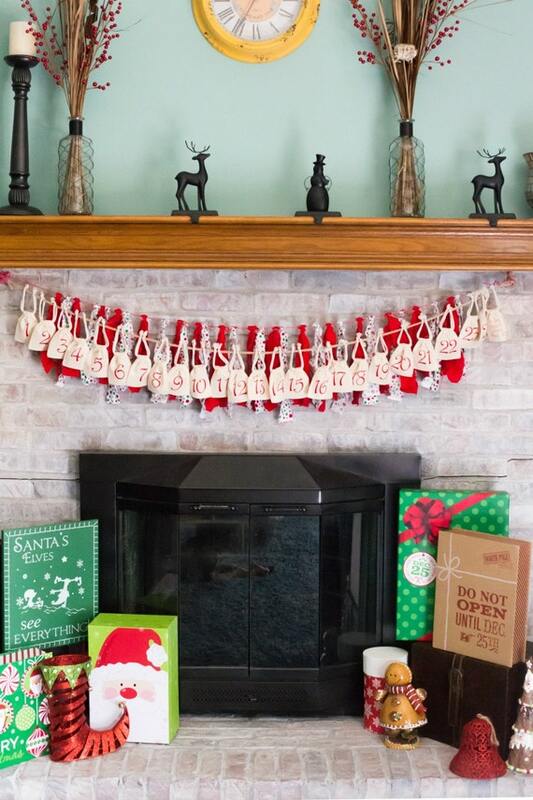 For something that will make quite a statement on a wall and add to your festive Holiday decor, consider this very modern style garland design. It is based on the look of a traditional banner with numbered muslin cotton bags. Each bag is hand stamped with motifs and has a small area that can be filled. 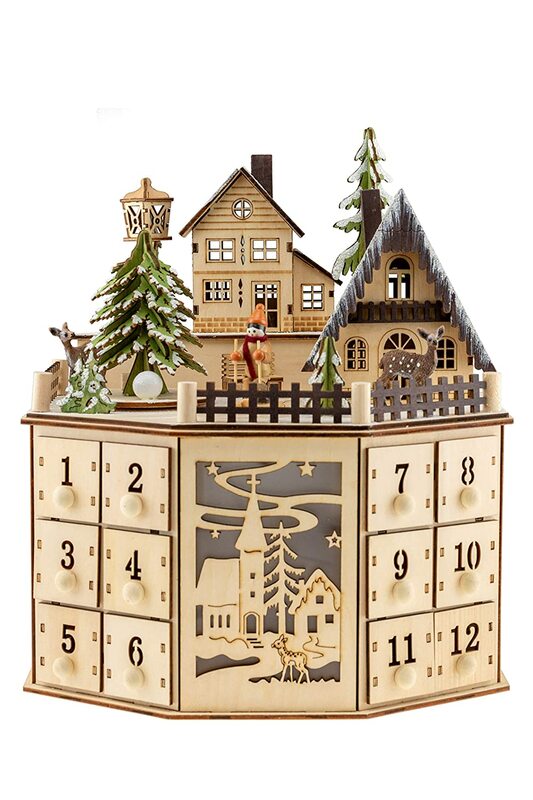 Instead of buying an advent calendar from card that gets thrown away every year, consider getting a countdown figurine instead that should last forever. A small figurine of this size is probably more affordable than you think. When you consider how much a cardboard design sets you back each year, why not get a permanent design instead. And if you are buying for someone else, then a permanent calendar is something that they can enjoy getting out and using every December. 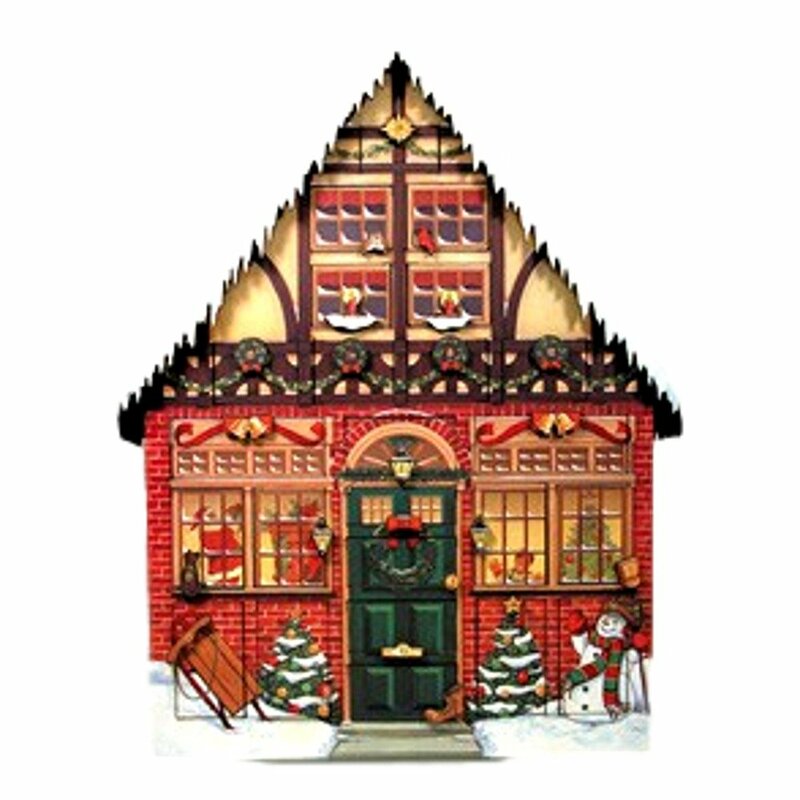 One I recently saw was based on a classic and traditional Santa design which is beautifully decorated. Instead of getting a different little scene to look at each day, you change the numbers to reflect how many days there are left until December the 25th. The countdown element is an exciting one. As with most figurines, they will not take up too much space and should fit neatly on a shelf or mantel in the heart of the home. I love the idea of this because you can make a really special set of advent drawers that can of course be reused every year. It also means that you can fill the drawers with gifts of your choosing like chocolates, candy, nail polish, little notes or love letters and fun items that you have made. This could make a really wonderful surprise for a special adult in your life. 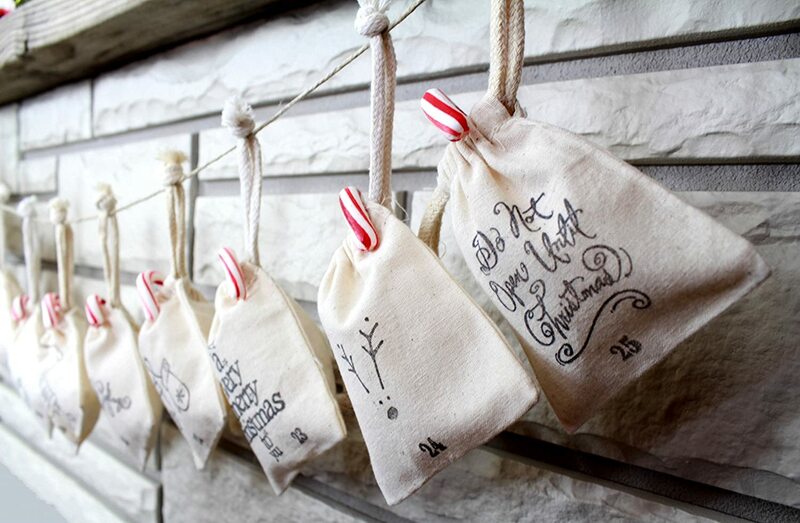 Of course, you can apply this idea to a fabric hanging calendar too with pockets in. 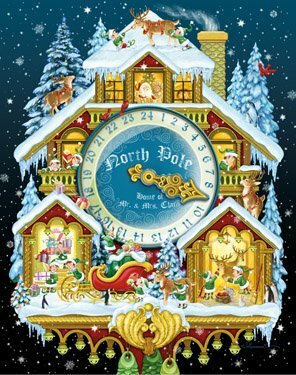 There are many religious advent calendar designs and mostly with scenes depicting the manger scene with baby Jesus, Joseph and Mary surrounded by animals in the stable. 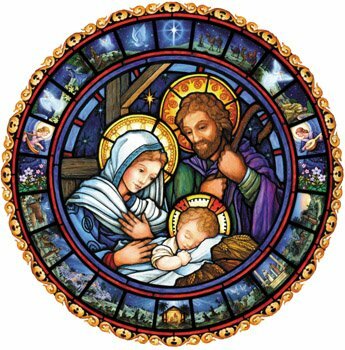 Many of the religious designs are no-candy or chocolate and instead have a little illustration behind each window along with the corresponding quote from the Bible. That is a lovely idea because you have something to reflect on each day that a new door is opened. Traditional calendars never used to have sweet treats in them.